During the Byzantine period, Philadelphia was the seat of a Christian bishop, and several expansive churches were built. The city declined somewhat during the late Byzantine years, and was overrun by the Persian Sassanians in 614 CE. 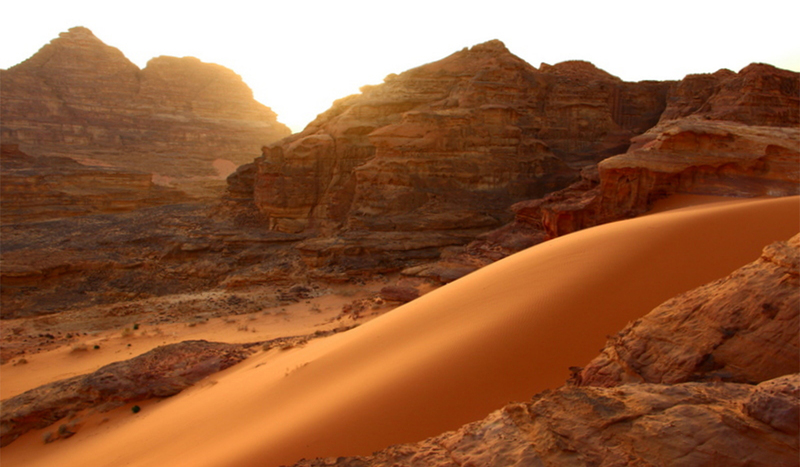 Their rule was short-lived, however, collapsing before the Arabian armies of Islam around the year 635. 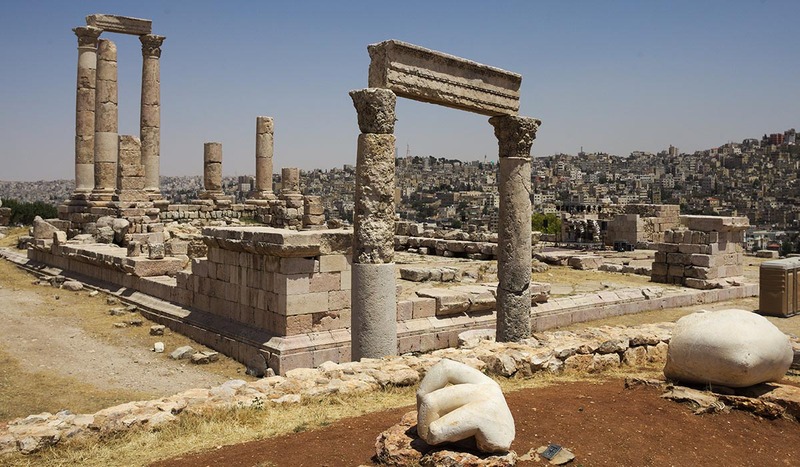 The name of the city then returned to its Semitic origin of Ammon, or “Amman.” It remained an important stop on the caravan routes for many years, but eventually trade patterns shifted and dried up the lifeblood of Amman. The city declined to little more than a provincial village for many centuries. 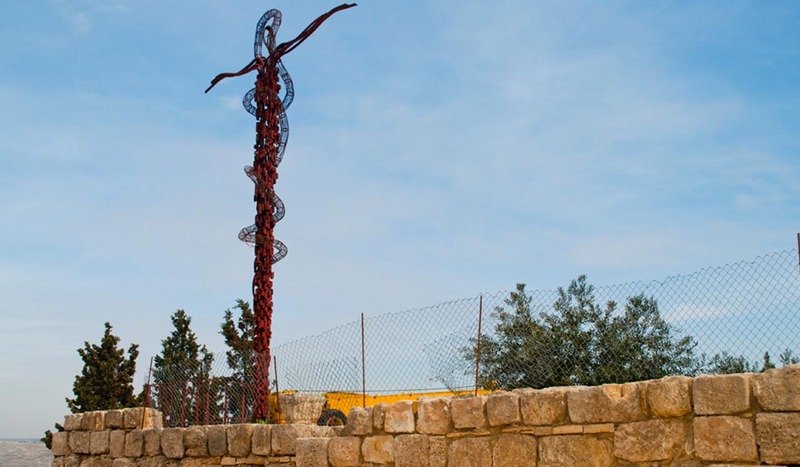 Most of Amman’s noteworthy historical sites are clustered in the downtown area, which sits at the bottom of four of Amman’s seven hills, or jabals. 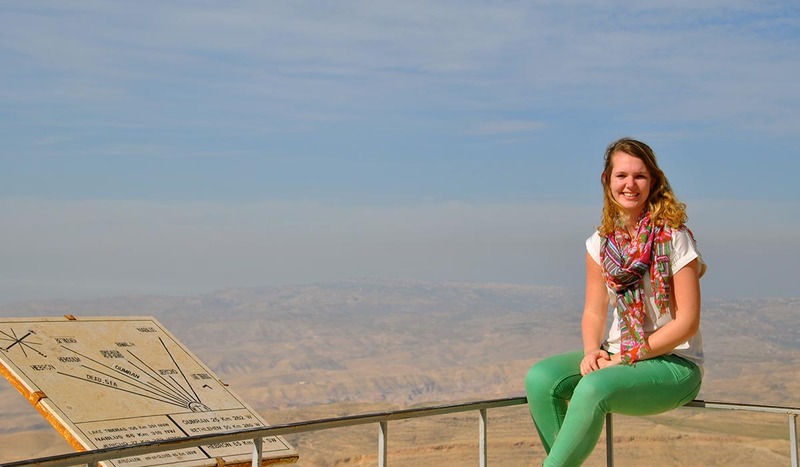 The ancient Citadel, which towers above the city from atop Jabal al-Qala’a, is a good place to begin a tour of the city. The Citadel is the site of ancient Rabbath-Ammon, and excavations here have revealed numerous Roman, Byzantine and early Islamic remains. The most impressive building of the Citadel, known simply as al-Qasr (“the Palace”), dates back to the Islamic Umayyad period. Its exact function is unclear, but it includes a monumental gateway, an audience hall and four vaulted chambers. A colonnaded street also runs through the complex. To the north and northeast are the ruins of Umayyad palace grounds. Downhill from the Citadel and five minutes walk east from downtown, the Roman Theater is the most obvious and impressive relic of ancient Philadelphia. The theater, which was built during the reign of Antonius Pius (138-161 CE), is cut into the northern side of a hill that once served as a necropolis—or graveyard. 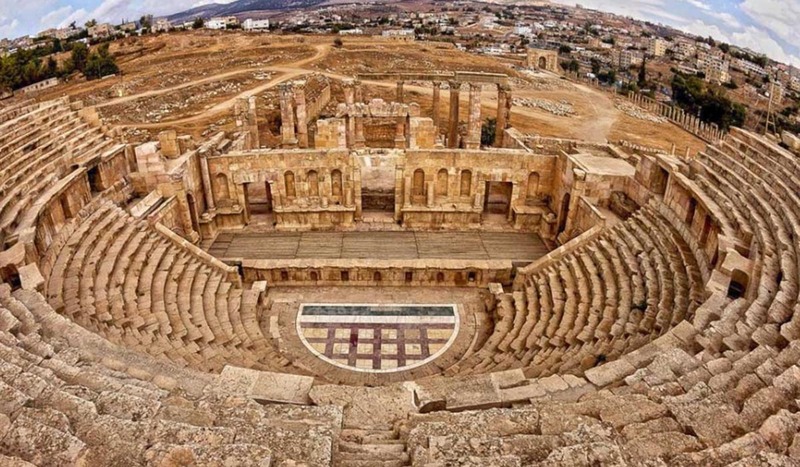 It is very similar in design to the amphitheater at Jerash, and can accommodate 6000 spectators. The theater is still used periodically for sporting and cultural events. To the northeast stands the small theater, or Odeon, which is still being restored. Built at about the same time as the Roman theater, this intimate 500-seat theater is used now as it was in Roman times, for musical concerts. Archaeologists think that the building was originally covered with a wooden or temporary tent roof to shield performers and audiences from the elements. Heading southwest from the theater complex, Philadelphia’s chief fountain, or Nymphaeum, stands with its back to Quraysh Street. Much of the fountain, which was completed in 191 CE, is hidden from public view by private houses and shops. The Nymphaeum is believed to have contained a 600 square meter pool, three meters deep, which was continuously refilled with fresh water. 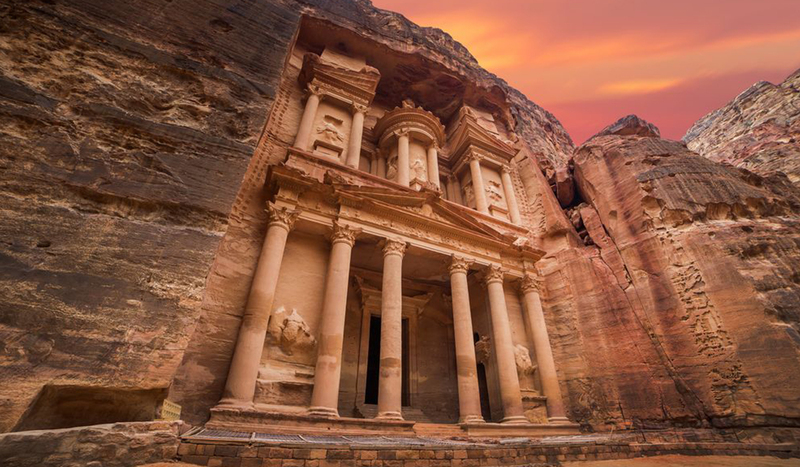 Jordan’s Department of Antiquities is currently excavating the Nymphaeum, and ultimately hopes to restore the site to its original structure by 2010. From the Nymphaeum, the short stroll to the King Hussein Mosque bustles with pedestrians, juice stands and vendors. 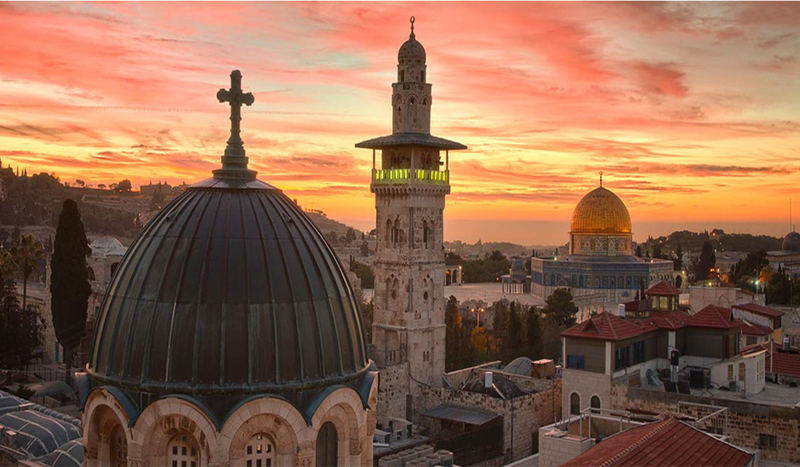 The area around the King Hussein Mosque, also known as al-Husseini Mosque, is the heart of modern downtown Amman. The Ottoman-style mosque was rebuilt in 1924 on the site of an ancient mosque, probably also the site of the cathedral of Philadelphia. Between the al-Husseini Mosque and the Citadel is Amman’s famous gold souq, which features row after row of glittering gold treasures.